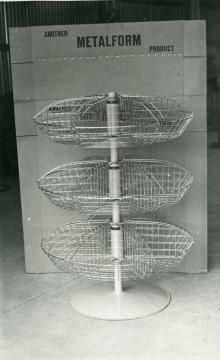 In April 1961, Bryce Easton of Dannevirke, New Zealand, began manufacturing rotating display stands for retail stores like Mitre 10 etc. He and 1 employee built these as fast as they could for the New Zealand market demand. This was the beginning of the business we enjoy today and this exact product, with some refinements, is still sold to this day! The product offering grew, based on Bryce’s passion and unique skills. 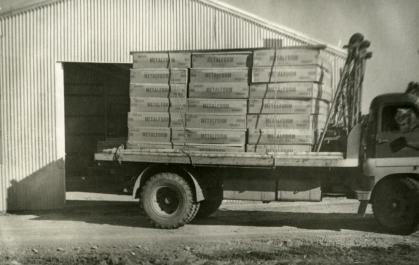 Next came aircraft hopper boxes and helicopter spreading buckets for hill country in the 1980s. From day 1, Metalform’s unique position as engineers and manufacturers, was very clearly led by design and innovation. Today, Metalform’s design-led philosophy still remains the backbone of the company and is driven by Bryce’s son, Geoff and grandson, Campbell.